Some say, he invented the modern form, while some, choose to call him ‘the father of the graphic novel’. I say, Will Eisner is easily the man who is singlehandedly responsible for steering comics out of the territory that was marked only for kids towards one that is darker, wiser and at times, even more heartbreaking. 1978 is the year we comic nerds remember as the year of the DC Implosion- the time when more than two dozen comic titles were cancelled by the comic publishing giants. Needless to say, jobs were lost and hearts were broken. Owing to the then economic condition, the recession to be more precise, and the steady dwindle in readership, the comic book industry was flung into an abyss that was terrifying to say the least. And while the supers were busy darning their capes, plotting a comeback, an American cartoonist was busy creating magic sequential art had never seen before. Released in 1978, Will Eisner’s A Contract with God, had nothing to do with men and women in spandex saving the day. It did not speak of moralities and it did not come with a happily-ever-after ending. But what it did was something that would be remembered by fans even decades later. 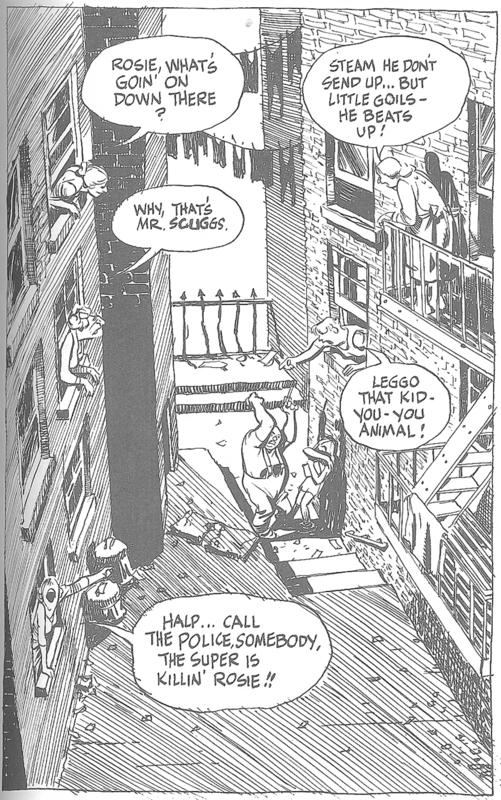 That year, Will Eisner introduced us to what most would go on to refer to as the very first graphic novel. Yes, the purists will point out that the term “graphic novel” was not introduced by Eisner. Yes, they will consider The Adventures of Obadiah Oldbuck to be the oldest graphic novel (published in 1828) and Rodolphe Töpffer as the father of graphic novels, but none can deny the fact that without Eisner or A Contract with God, we would never get familiarised with the term “graphic novel”, and we would also be stuck in a world of sequential art that is superficial, light-hearted and of course, unrealistic. A narrative that delves deep into the lives of Jewish characters, none particularly rich, A Contract with God takes place in a New York City tenement- crowded and chaotic. 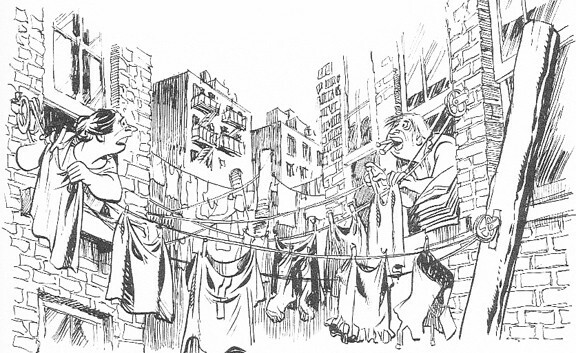 Inspired by Eisner’s own observations of the Bronx, the story rose from the dregs of society, defining blocks crammed with European immigrants each scrambling towards a better life. A collection of four stories starting with one about a man who loses faith in life after the untimely and unfortunate death of his adopted daughter (also inspired by Eisner’s loss of his 16 year old daughter) A Contract with God sets out to question the idea of faith. Not merely restricted to encouraging an atheist’s train of thought, Eisner questions relationships, friendships and even humanity on the whole. Though the book is heavily autobiographical in tone, Eisner makes sure that the characters from each of his stories differ from each other. And with his masterful strokes and words, he creates creatures that are far more terrifying than the human forms they are perceived in. Creatures that prowl through society, feasting on innocence, faith, harmony and revelling in despair. And the tenement, constantly holding back each of the souls to the vacuous lives they so urgently want to leave behind, plays the role of a villain etched to perfection. Captured in ink, the by lanes, staircases, balconies, windows and every little detail stands proud in its architectural glory- a sight overwhelming and inspirational- the cesspool of societal politics notwithstanding.